WHAT DO HEART ATTACKS, STROKES AND ANEURYSMS HAVE IN COMMON? Vascular disease refers to the disease of the arteries and veins in our body (our blood vessels). It is a subdivision of the broader cardiovascular disease (CVD) and cerebrovascular disease groups and, if not managed well, can lead to many issues with our health. Coronary heart disease and stroke occurs when there is a lack of blood supply to the heart and brain, respectively. A TIA is similar to a stroke, but blood supply to the brain is stopped only momentarily – however this can still have damaging effects to the body. If there is a blockage to the legs or arms then this is classified as peripheral artery disease – this can give symptoms of leg cramps (worse when walking), hair loss and a ‘shiny’ appearance on the legs/feet, numbness, and persistent ulcers on the limbs. This occurs when the largest blood vessel in the body (the aorta) faces problems such as an aortic aneurysm – where the vessel bulges outwards. This bulge can potentially burst and cause a whole range of problems, some of which can be fatal. Although the exact cause of cardiovascular and vascular diseases aren’t really known, they’re thought to be due to a build-up of ‘bad’ cholesterol in the blood vessels. This causes a thickening of the vessel wall and a ‘plaque’ is formed. This plaque can obstruct the blood vessel, blocking blood supply to the tissue, or it can rupture, forming a blood clot that can block the blood vessel (such as a deep vein thrombosis, DVT), or that can break up and travel around the body and block the blood supply to other (potentially vital) organs and tissues (such as in a pulmonary embolism). Who is at Risk of Cardiovascular Disease? You should inform your GP if you have a strong family history of cardiovascular disease (for example if people in your immediate family have suffered from heart attacks/strokes), as they can advise you on how to minimise your CVD risk. A healthy lifestyle is one of the best ways to lower CVD risk. A healthy diet, such as the mediterranean diet, which is rich in fruit, vegetables, greens, beans/ legumes, and using plant-based oils such as olive oil instead of animal fat. A healthy, balanced diet can greatly reduce your chance of having a vascular event. Smoking is a very big risk factor for developing vascular disease. Stopping smoking will significantly reduce your risk , and advice on smoking cessation can be obtained from your GP. This is also a major factor in CVD, and so trying to reduce your levels of stress should also help to lower blood pressure. It is important that, if you have diabetes, you keep it well controlled by regularly taking any medication you have been prescribed and through your diet. Regular exercise is also advised – 150 minutes a week of moderate activity is optimum, and this can be achieved through brisk walking, jogging or cycling. If your risk of cardiovascular disease is high, or if you experience any of the symptoms mentioned above, there are treatment and management options available. Statins are a group of medications that have tremendously improved our general management of the body’s cholesterol levels. They act to lower blood cholesterol levels, and can be taken prophylactically to reduce the risk of a vascular event from occurring. It may also be recommended that you take aspirin, as this medication can prevent blood clots from forming, and anti-hypertensives (blood pressure lowering tablets) can also be prescribed to reduce risk. If a cardiovascular event has occurred, it may be advisable that you have further procedures to reduce the chance of one happening again – for example if the arteries that supply blood to your heart are blocked to a large extent, a bypass surgery can be performed to improve the supply. However, this is only really used when medications and other procedures don’t give enough help to the body’s vessels. All in all, the most important way to minimise your CVD risk is to control the risk factors! If you would like to discuss your risk factors and how to manage them, book a GP appointment with one an affordable Private GP at our Fleet Street clinic or any of our other convenient London Clinic locations. 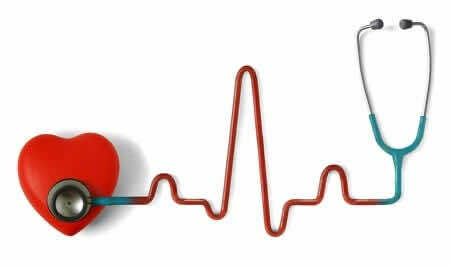 We can give you a full cardiovascular work-up, including taking blood pressure and BMI measurements, then facilitating private blood tests to check your cholesterol (good, bad, total and ratio), sugar levels (preferably fasting, for diabetes testing), and even perform an ECG test if necessary. Overall, we can calculate your risk score for you developing heart disease, and advise on any necessary steps that may be recommended to reduce your risk of cardiovascular disease.